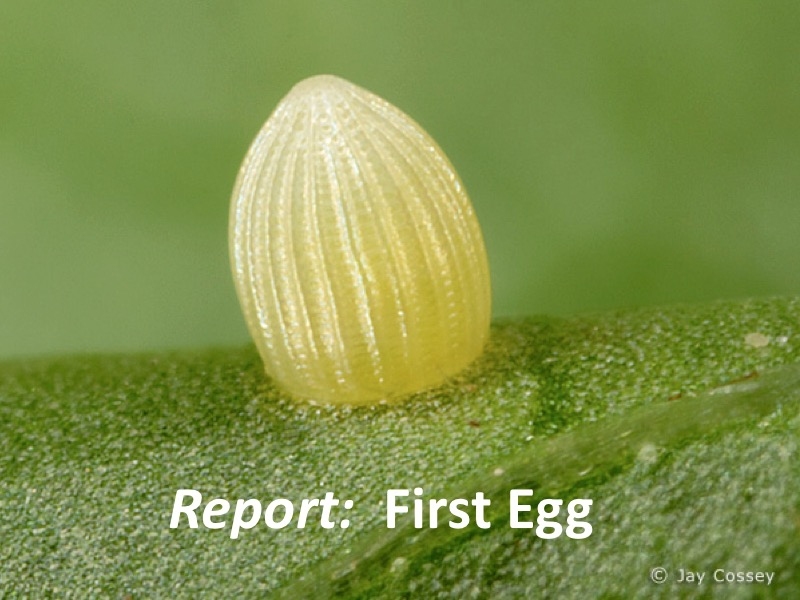 Laying eggs as they travel, northbound butterflies are delivering the next generation. Kathy Metzger Montgomery, Texas March 20, 2017. "Today was an amazing monarch day! 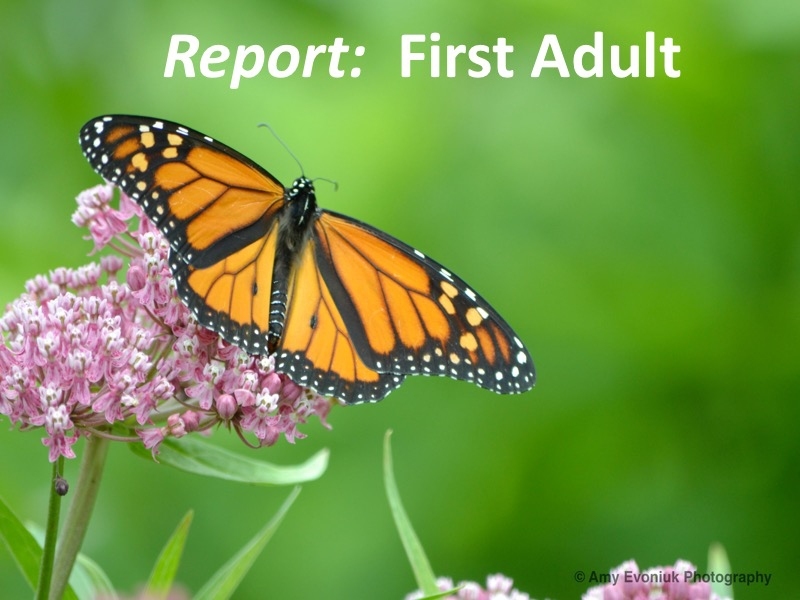 From around 12:30 to 3:00pm I saw at least 8 faded female monarchs actively seeking out favorable milkweed, laying eggs, and nectaring. 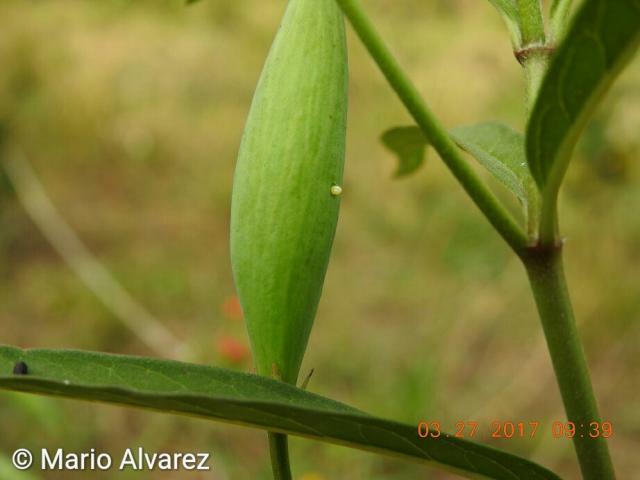 It is always an honor to go around with a monarch as she lays her precious eggs." The migration's leading edge has now advanced 1,000 miles from the winter sanctuaries in Mexico and is approaching 36°N in Oklahoma. "The migration is moving quickly, at least from what I have seen. 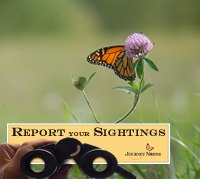 I saw a few monarchs this past weekend that were booking it north. 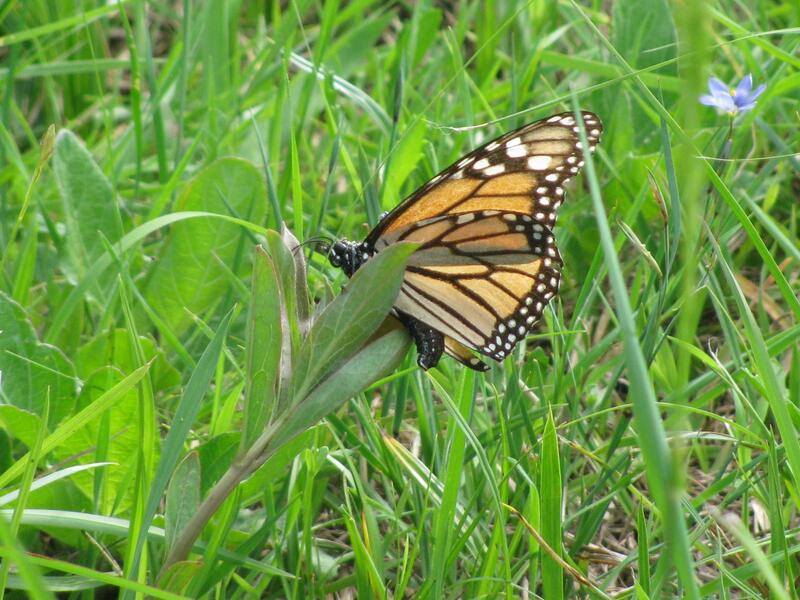 Not interested in anything...no milkweed...no nectar," said Chuck in Driftwood, Texas. 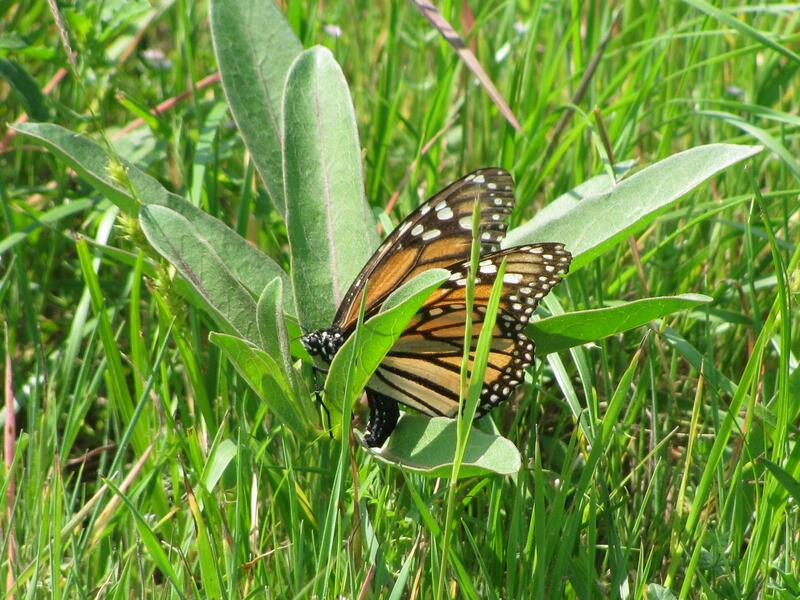 It's a critical time as the monarchs race northward to produce the next generation. Now in reproductive condition, the biological clock is ticking. 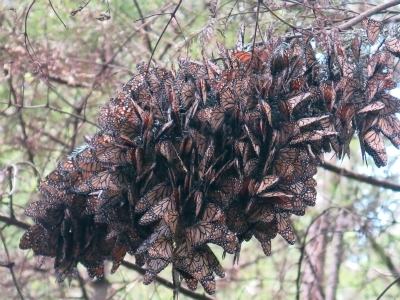 Most of these monarchs will reach the end of their lives by the end of April. "What a wonderful monarch day in the nursery! 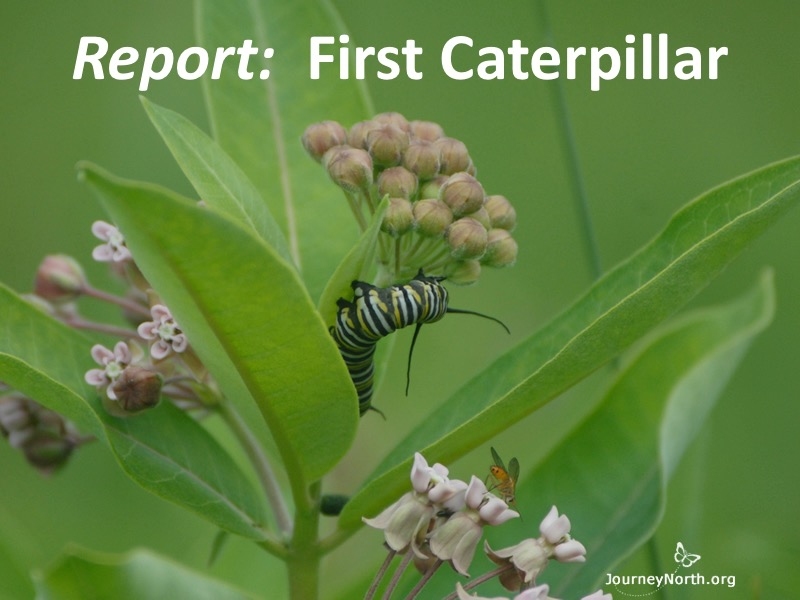 I looked at 152 milkweed plants and found 89 eggs and 9 larvae," notes Kathy of Montgomery. 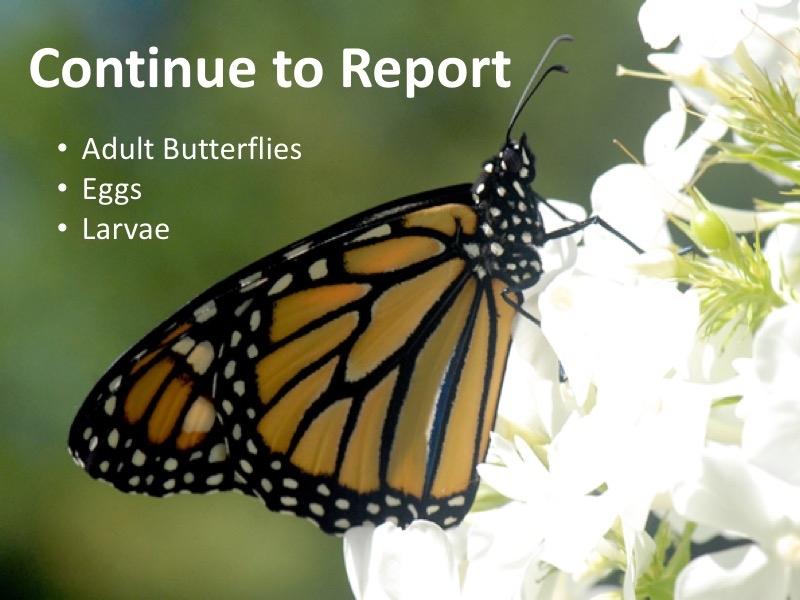 "I found 21 eggs on the milkweed in my back yard," wrote Jill from Vernon. 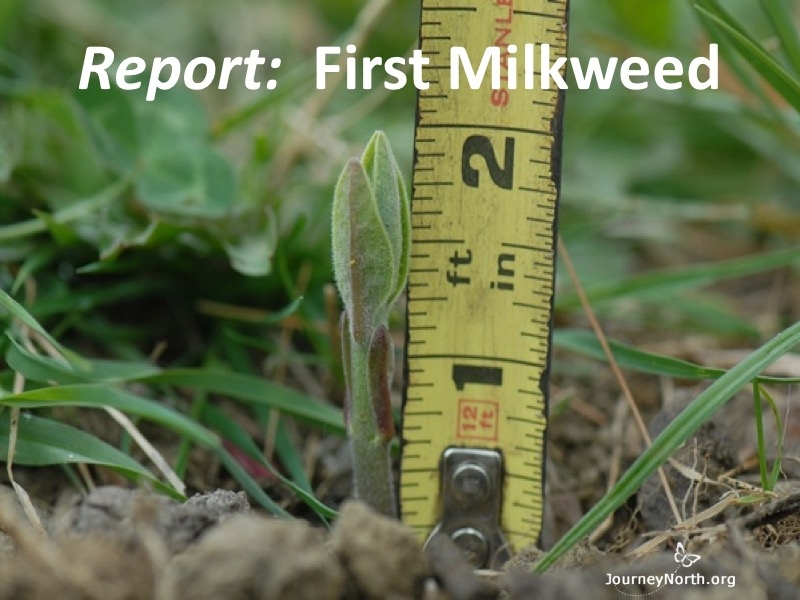 "We checked 127 milkweed plants at Herff Farm and found 4 eggs!" remarked Mary of Boerne. The size of the next generation will largely be determined by the quality of breeding habitat in Texas, and neighboring states to a lesser extent. 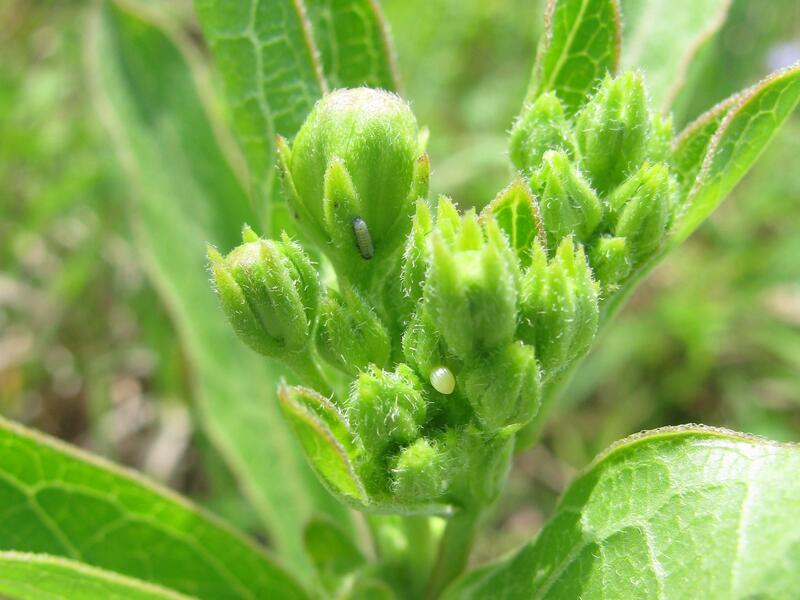 Reproduction is concentrated in this region in early spring where the temperatures are favorable and the vegetation is ready. 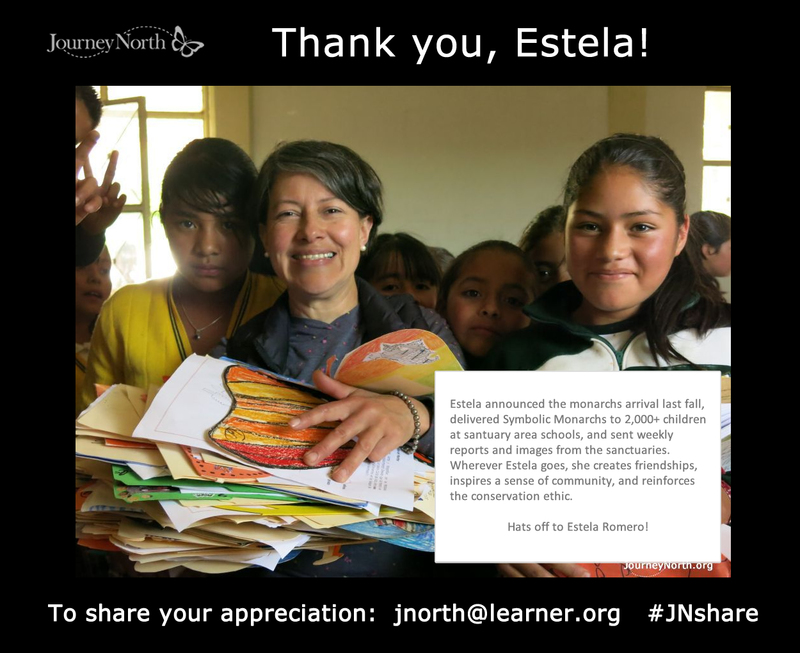 To her great surprise, Estela found a substantial number of monarchs still clustering at El Rosario and Sierra Chincua.